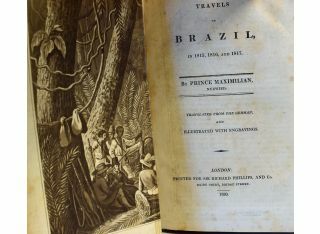 Brazil - Travels In Brazil In 1815, 1816 & 1817 Book - by Prince Maximillian Nuewied. 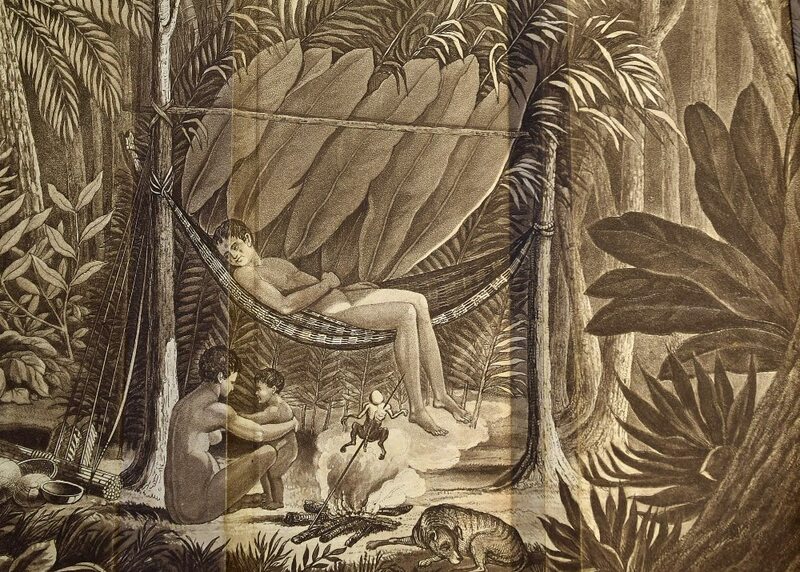 London; Sir Richard Phillips, 1820. 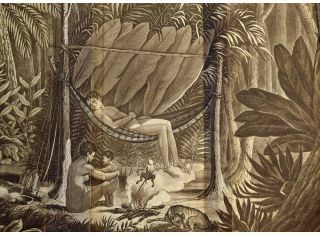 Pages; IV, 112. 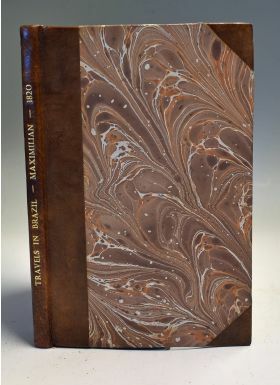 Contains 9 sheets of copper plates (3 are folding), plates complete. 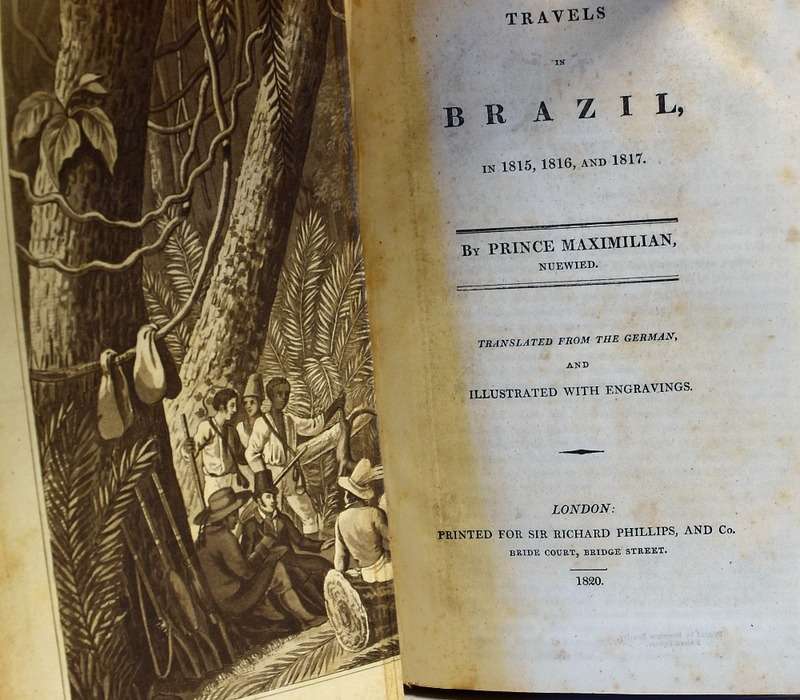 An expedition to South-East Brazil by Prince Maximillian of Wied-Nuewied in the years 1815-1817. 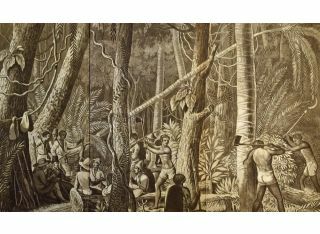 From which images of Amazonian Indians were brought to the world for the 'first time', 8 species of reptiles are also named after him. 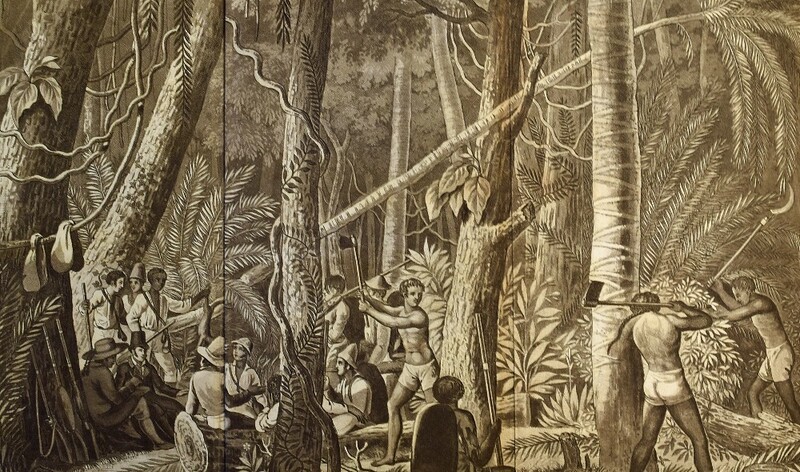 Centering on the east coast, describing the natural history, geography, local inhabitants, their customs and manner of living &c. Includes plates of; fold out of woodcutting in the Amazonian forest, of local Indians at a camp & of Indians hunting in the forest, also 6 full page plates similar. Rebound in half Leather and marble boards, size 5½” × 8½”.